The oldest resident in my cellar has gotten itself drunk. 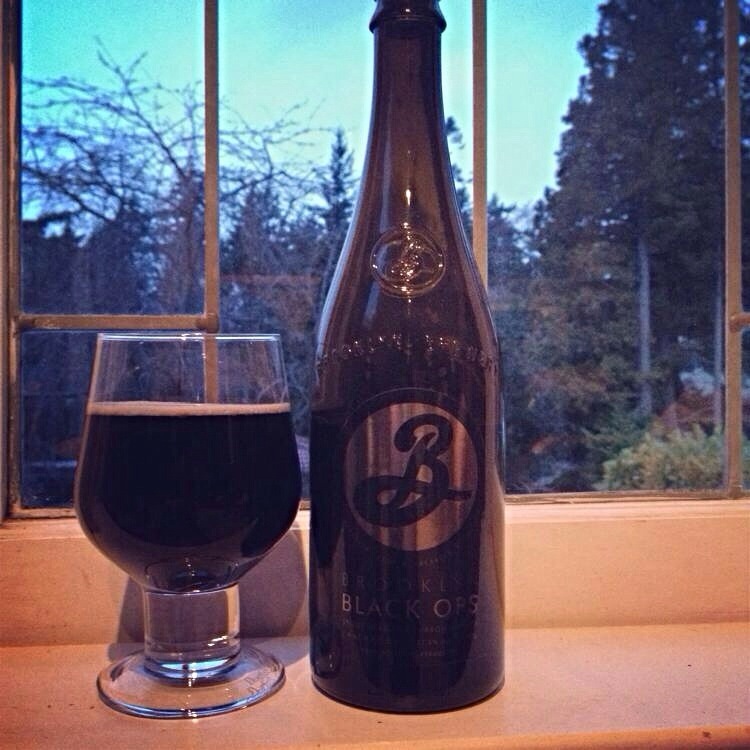 In 2009 when I was still just a fledgling beer geek, the hubby and I picked up a rather expensive bottle of Brooklyn Black Ops an 11.6% stout aged in bourbon barrels. This was our first real foray into serious beer purchasing and our first hesitant steps towards the creation of a beer cellar. Or in other words, resisting temptation to drink it right away we stashed the bottle in the farther (and coldest) corner of our office. Black Ops pours blackest brown with some mocha head on the initial pour, which dies down to a nice ring around the glass and a slight skim. Big and boozy nose on the initial pour it quickly calms down to a caramel malt nose. First few sips are surprisingly smooth, no harshness from the alcohol, sweet and rich with just a hint of chocolate. Usually I find these big barrel aged beers to be very complex but Black Ops is deceptively simple and eminently drinkable. As you drink the warming sensation begins and there is medium body to this beer, not the viscous brew I was expecting, and this simplicity is really what contributes to its’ drinkability. The finish is kind of quiet with a lingering sweetness. 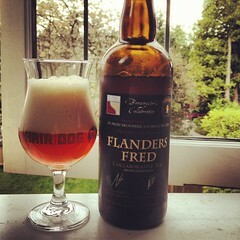 Overall, a very impressive beer and one that demonstrates the benefits of cellaring. 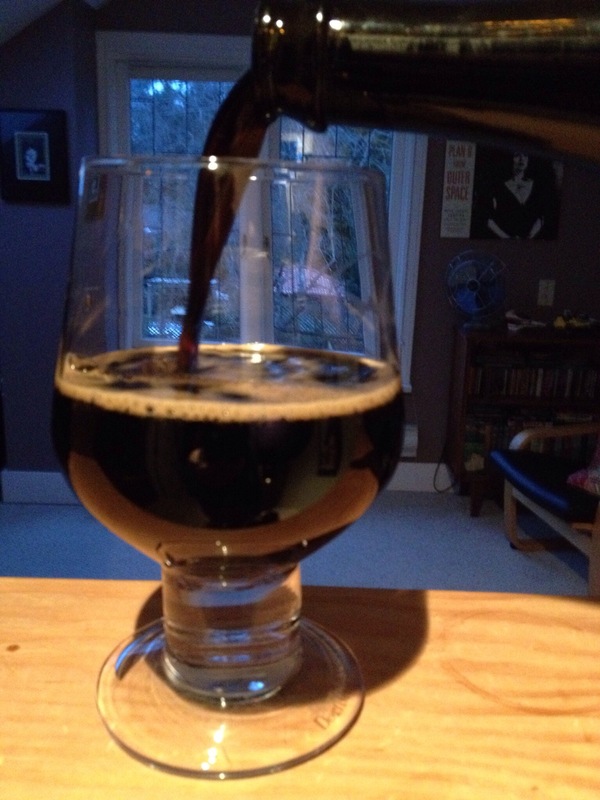 This entry was posted on Sunday, March 2nd, 2014 at 2:16 am	and tagged with Barrel aged beer, Beer Cellaring, Brooklyn Black Ops, Brooklyn Brewery and posted in Barrel Aged, Beer Aging, Beer Reviews, Stout. You can follow any responses to this entry through the RSS 2.0 feed. So only partially gluten free I see? Or was this just to good to pass up. Health be damned. Lol I had an aged version of this although not that old and it was amazing! Glad you got to try it! Oh ok. I thought it was you. My bad. Your good. Haha. I must have miss read your post. I still shy away from the $40 price tag on this one, but after reading a few reviews I may have to find more room in the cellar and wallet. Not all but most of the sitting at $40+ are there for a good reason. They are amazing! It is a tough call but these kind of beers are one-time occasion beers that are worth the price, in my opinion, as the higher price tag really does reflect the quality of the beer within.